How do you conduct your classes? You’ll follow The Hot Yoga Spot’s proprietary processes for conducting classes, based on the variety of yoga and barre styles offered. You can choose to offer any approved class styles and we will give you the tools to schedule and market them effectively. Do I have to be an owner operator and a certified instructor? No, we do not require an owner operator business model. You can hire a general manager to run your studio. The business owner does not need to be an instructor, but we do require a minimum of 200-hour RYT certifications for all instructors who teach classes at The Hot Yoga Spot. We offer certification programs for you and/or your instructors in our Albany, NY area studios. Can I own more than one studio or be a multi-unit operator? Yes! 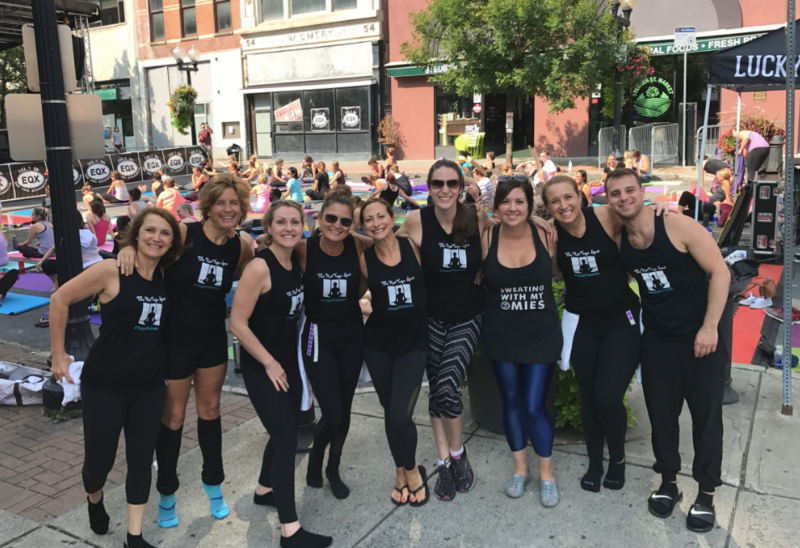 The Hot Yoga Spot franchisees have the option to own more than one location. Your interest in cultivating a warm and welcoming community in your studios, offering a variety of beginner to advanced classes is key to our mission and hiring a great team is an essential part of your potential growth. After your initial franchise fee is paid, the rest of the estimated costs include expenses to outfit The Hot Yoga Spot location with the necessary equipment, fixtures and initial inventory. Costs include professional advisory fees from third parties, insurance and three months of working capital. We are happy to disclose all of these details and help you better understand once you apply. How long does it take to open the business? Once you become The Hot Yoga Spot owner in your market, you have our full support to get you up and running quickly. We help you evaluate real estate options, assist with design and layout of your studio, and offer step-by-step guidance to help fit out The Hot Yoga Spot. The time to open depends on how quickly you find your studio. Once you commit to a location and sign your lease, you should be able to open in as few as two to four months. How many people does it take to run the studio? If you are an owner operator, you will most likely start as the general manager with a recommended two to four certified instructors on your team. This will enable you to offer a variety of classes in the morning, afternoon and evening, seven days a week. You can add instructors as you grow to meet client demand and our business model will keep your expenses and overhead low so your profit margin remains high. How much money can I make? What is the return on investment? We can’t answer that question because each candidate is different and financing models vary. Our FDD, which includes our Financial Performance Representation, called an Item 19, provides greater insight. This highlights affiliate performance and history and can be a useful tool to help you evaluate the ROI. We do not offer financing, but we have partnered with Benetrends to jumpstart your entrepreneurial journey. Funding is one of the most important components in buying a franchise. Benetrends is a third party lending expert that has been funding America’s entrepreneurs for more than 35 years, offering a comprehensive suite of funding options covering nearly every type of business situation. Click here to learn more and get pre approved.